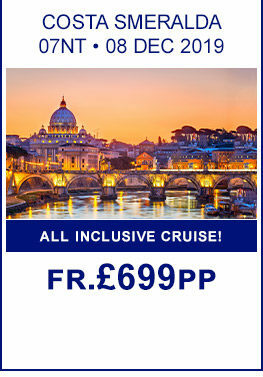 The Mediterranean is one of the most popular cruise destinations, and why not, with something for everyone from vibrant cities such as Barcelona, the glamorous French Riviera with St. Tropez, Cannes, Nice and Monte Carlo and not forgetting the cultural delights of Rome, Venice, Florence and Athens. For your 2019 or 2020 Mediterranean cruise, Cruise1st has a comprehensive range of deals of varying itineraries and durations to suit all budgets and tastes, from a cheap Mediterranean cruise to all-inclusive packages. Newly Reduced Prices! 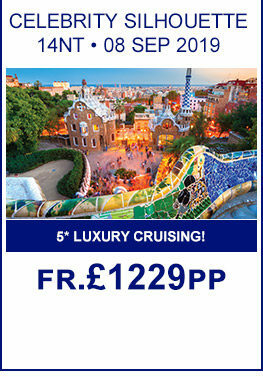 , Experience The Best In British Cruising , Perfect for families! Cruises to and around the Mediterranean are offered year round, thanks to the regions great climate. Enjoy hot summers, warm springs and mild winters during your Mediterranean cruise. Your Med cruise can either begin by sailing directly from the UK, including Southampton or by flying out to join your cruise, with all major cruise lines sailing to the Mediterranean offering a variety of itineraries and durations. 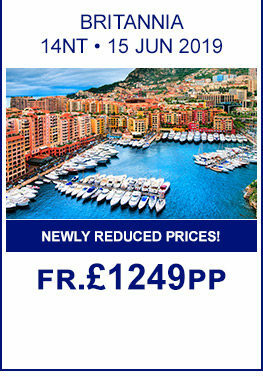 We have a wide selection of cheap Mediterranean cruise deals, contact us for information on the latest offers. The main ports of departure for fly cruises are Barcelona, Rome (Civitavecchia) and Venice. 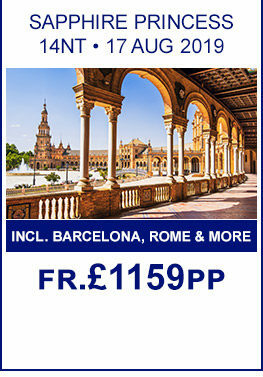 Other fly cruise joining ports include Palma de Mallorca and Malaga. Whilst visiting fantastic ports of call, you will be able to take part in the optional shore excursions that the cruise lines offer. These vary from city tours to a trip to the beach as well as venturing more inland such as to the Tuscany wine region. Alternatively, you may just want to relax on deck and make the most of the great weather the region has to offer.